While grocery shopping the other day, my son asked if we could buy some Nutter Butter cookies. I haven't had a Nutter Butter cookie since childhood and I was surprised that my son had one, since we don't usually buy packaged cookies. He said he ate one at school one time and they were so good! I checked out the ingredient list, and needless to say, it was long, controversial, and we couldn't even pronounce some of the ingredients. We skipped the cookies and instead I suggested we try our hand at making our own when we got home. We spent the afternoon gathering the wholesome ingredients from our kitchen and started baking. 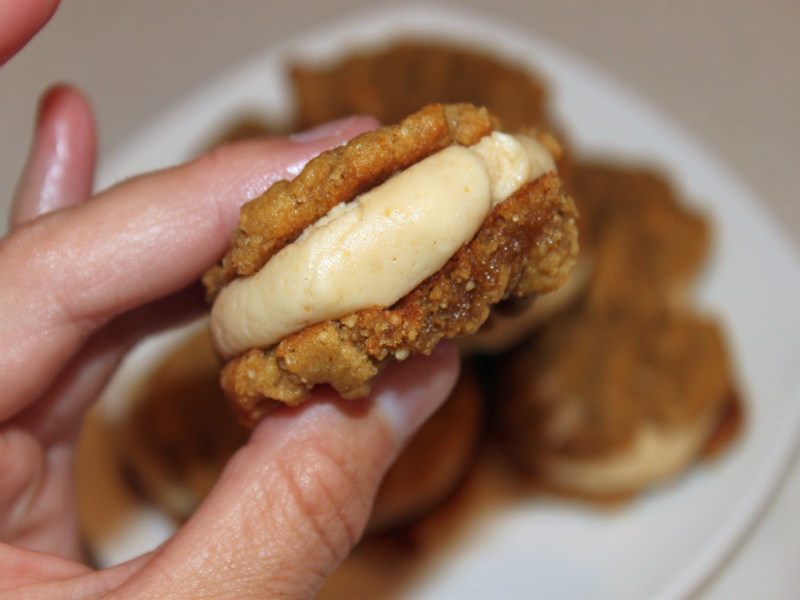 We started using our favorite vegan, organic peanut butter cookie recipe and whipped up a simple cream filling to add to the mix. What we created was something on a whole new level of yumminess! These cookies are chewier than their traditional store bought counterpart, which is fine by me. They are made using organic and vegan ingredients and overall, they are just as good as the Nutter Butters from your childhood -- actually, they're even better! 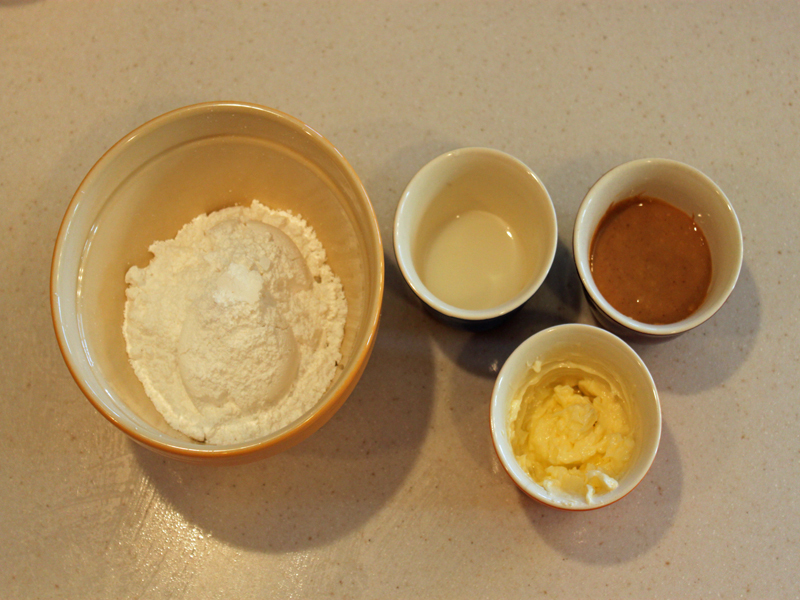 Add all of the dry ingredients for the cookie portion of the recipe to a medium sized bowl and mix well. Mix in all of the wet ingredients for the cookie portion of the recipe to the dry ingredients and mix until completely combined. 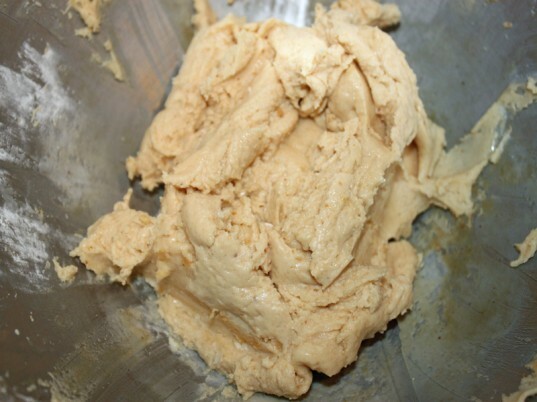 Refrigerate the dough for 30 minutes or longer for a soft, chewy cookie. Roll the dough into small balls, press a criss-cross design on the top of the cookie using a wet fork. Then, pinch the cookies sides to create a peanut shape. (I let my son do the pinching. If you are going to make these for a party or to give as a gift, I suggest you help do the pinching so they turn out prettier). Bake the cookies at 350 degrees for about 8 minutes. 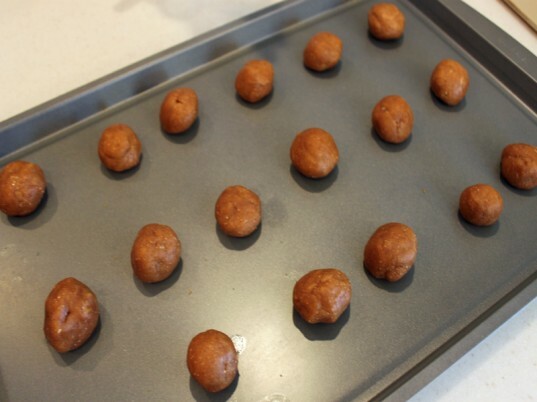 Then remove the cookies from the cookie sheet and allow them to cool completely. While the cookies are baking and cooling, make the filling by adding all of the ingredients to a medium sized bowl and beat until creamy. I rolled the filling into small balls and placed one on each end of the inside of a cookie. Then, pressed another cookie on top of it. These cookies are amazing and my son and husband ate them all! 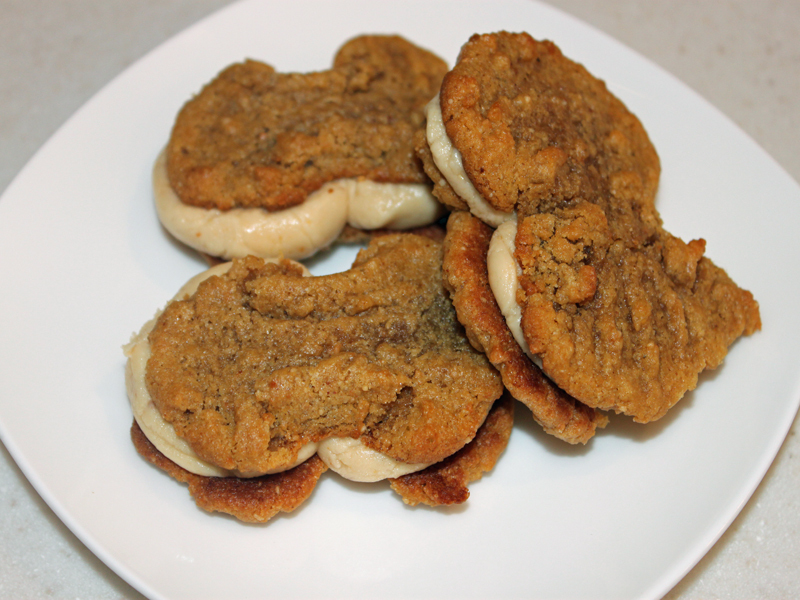 This recipe only makes a few cookies, which is good for an after dinner treat, bad if you want any left for the next day! 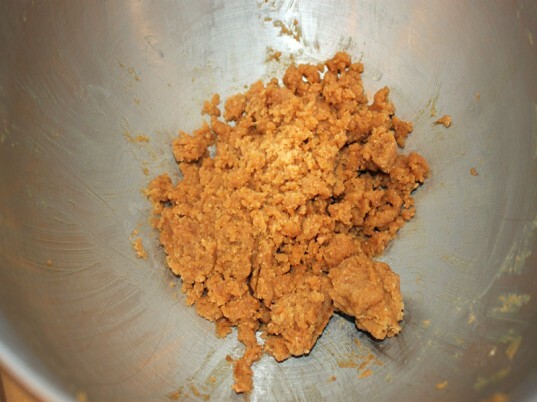 Add all of the dry ingredients for the cookie portion of the recipe to a medium sized bowl and mix well. 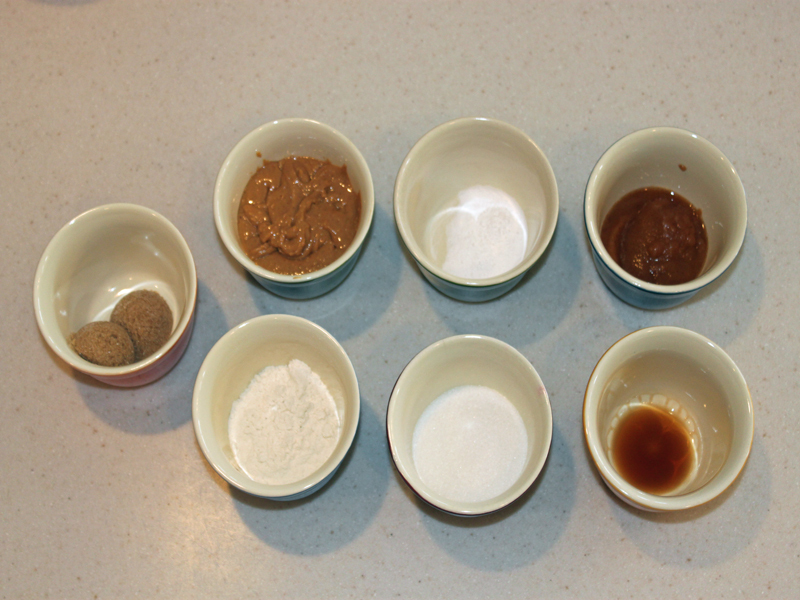 Mix in all of the wet ingredients for the cookie portion of the recipe to the dry ingredients and mix until completed combined. Refrigerate the dough for 30 minutes or longer for a soft, chewy cookie. Roll the dough into small balls, press a criss-cross design on the top of the cookie using a wet fork. 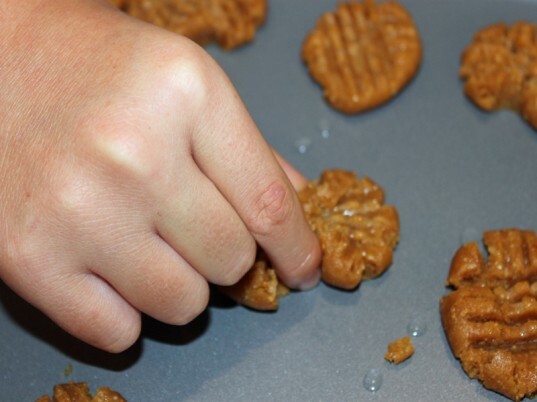 Then, pinch the cookies sides to create a peanut shape. (I let my son do the pinching, if you are going to make these for a party or to give as a gift, I suggest you help do the pinching so they turn out prettier). Bake the cookies at 350 degrees for about 8 minutes. Then, remove the cookies from the cookie sheet and allow to cool completely. While the cookies are baking and cooling, make the filling by adding all of the ingredients to a medium sized bowl and beat until creamy. I rolled the filling into small balls and placed one on each end of the inside of a cookie. Then, pressed another cookie on top of it. Enjoy! 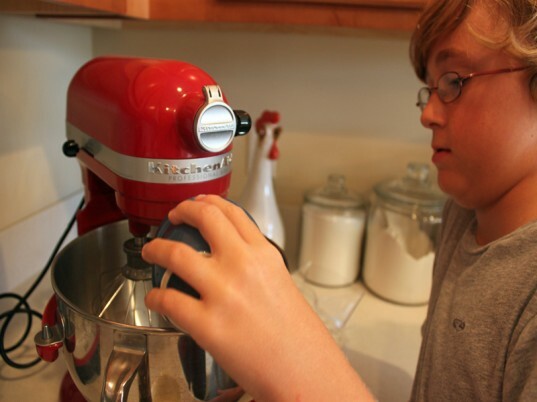 This recipe yields 8 cookies. Mix in all of the wet ingredients for the cookie portion of the recipe to the dry ingredients and mix until completed combined. Bake the cookies at 350 degrees for about 8 minutes.Then, remove the cookies from the cookie sheet and allow to cool completely. These cookies are amazing and my son and husband ate them all! This recipe only makes eight cookies, which is good for an after dinner treat, bad if you want any left for the next day! 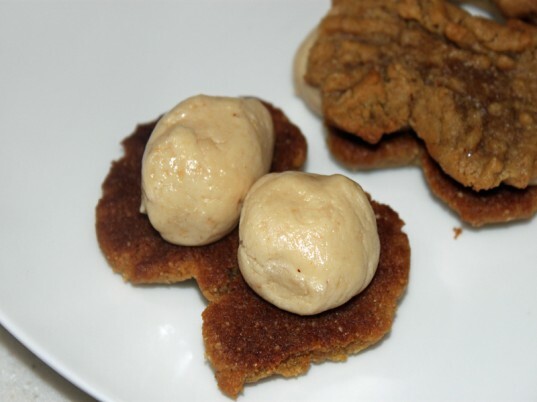 For the cookies: 1/2 cup organic peanut butter 3/4 tbsp. organic baking order 3 tbsp. organic flour 1/4 cup organic sugar 2 tbsp. organic brown sugar 2 tbsp. organic applesauce 1/2 tsp. organic vanilla For the filling: 1/2 cup organic peanut butter 1/2 cup Earth Balance butter spread 1 3/4 cups organic powdered sugar 1 tbsp. organic soy milk Add all of the dry ingredients for the cookie portion of the recipe to a medium sized bowl and mix well. Mix in all of the wet ingredients for the cookie portion of the recipe to the dry ingredients and mix until completed combined. Refrigerate the dough for 30 minutes or longer for a soft, chewy cookie. Roll the dough into small balls, press a criss-cross design on the top of the cookie using a wet fork. 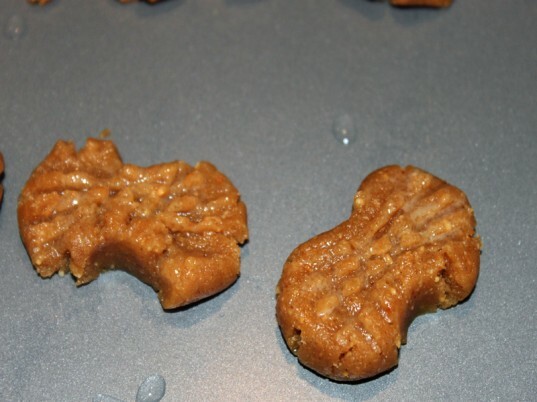 Then, pinch the cookies sides to create a peanut shape. (I let my son do the pinching. If you are going to make these for a party or to give as a gift, I suggest you help do the pinching so they turn out prettier). Bake the cookies at 350 degrees for about 8 minutes.Then, remove the cookies from the cookie sheet and allow to cool completely. While the cookies are baking and cooling, make the filling by adding all of the ingredients to a medium sized bowl and beat until creamy. I rolled the filling into small balls and placed one on each end of the inside of a cookie. Then, pressed another cookie on top of it. Enjoy! This recipe yields 8 cookies.